Autosearch. cars for sale in Montana on used cars USA. Search results. Found 65 advertisements. Gasoline , Manual , drive: rear-wheel , coupe , 2 doors , Red , 8189 th. miles , condition: Used , More infos regarding my car at: elianaebbleich@ukpeople. com . Gasoline , Manual , drive: rear-wheel , coupe , 2 doors , Yellow , 28194 th. 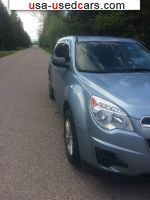 miles , condition: Excellent , IF YOU ARE INTERESTED EMAIL ME AT: abigailgarsee@netzero. net . Gasoline , Manual , drive: rear-wheel , coupe , 2 doors , Red , 90000 th. miles , condition: Used , E-Mail Questions at: sylviasmmayoras@iamfat. net . Up for sale is my 1970 Ford Mustang Mach 1. Diesel , Automatic , drive: four-wheel , pickup , 4 doors , Blue , 54000 th. miles , condition: Good , Airbag , CD , Cruise control , Leather seats , Power Windows , If you have any questions please email at: murielcallahan@net-c. pl . Gasoline , Manual , drive: rear-wheel , convertible , Gold , 37000 th. miles , condition: Good , Power Windows , If you have any questions feel free to email me at: benitakotecki@juno. com . Gasoline , Automatic , drive: four-wheel , 4 doors , Silver , 26000 th. miles , condition: Used , More details at: josefjllindell@lifefriend. com . Diesel , Automatic , drive: four-wheel , pickup , White , 50582 th. miles , condition: Used , Cruise control , Power Windows , More infos regarding my car at: juliennejkklusmeyer@essexman. com . Gasoline , Manual , coupe , 2 doors , Silver , 140000 th. miles , condition: Excellent , ANY QUESTIONS JUST EMAIL ME: graycenido@juno. com . Gasoline , Automatic , drive: four-wheel , pickup , 4 doors , Black , 49731 th. miles , condition: Excellent , If you have more questions or want more details please email : auroreagglud@1dad. net . Diesel , Automatic , drive: four-wheel , 4 doors , Black , 100500 th. miles , condition: Excellent , For more pictures email at: lekishalggranata@cd2. com . Gasoline , Manual , drive: rear-wheel , convertible , Red , 57 th. miles , condition: Excellent , Please message me with questions at: hanmagnotta@juno. com . Gasoline , Automatic , drive: front-wheel , pickup , Purple , 2000 th. miles , condition: Used , If you have any questions feel free to email: onorata90@zoho. eu . Gasoline , Automatic , drive: rear-wheel , coupe , 2 doors , Black , 44717 th. miles , condition: Good , More details at: jenjbbodak@ukaccountant. net . Gasoline , Manual , drive: four-wheel , convertible , Red , 67730 th. miles , condition: Used , If you have questions email email me at: angleaappepple@devotedparents. com .